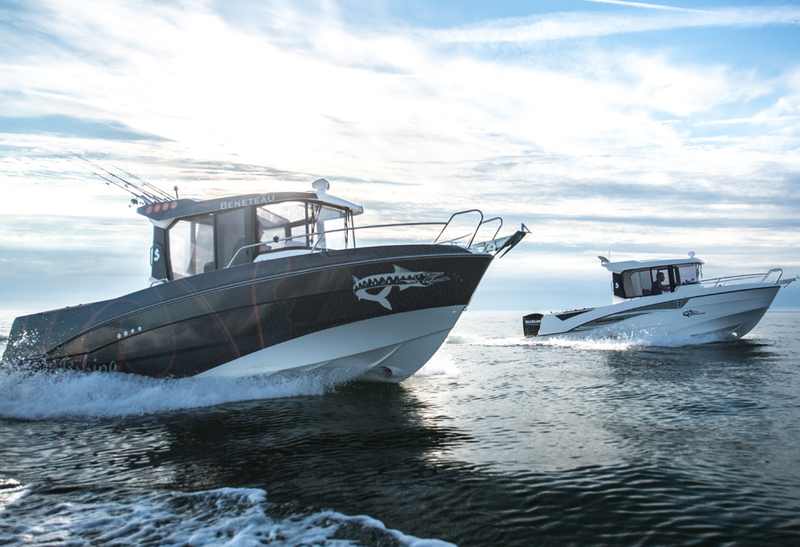 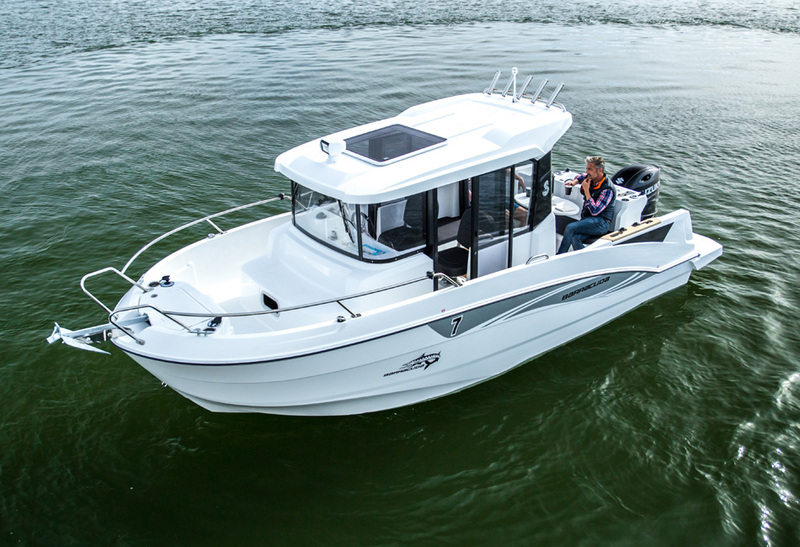 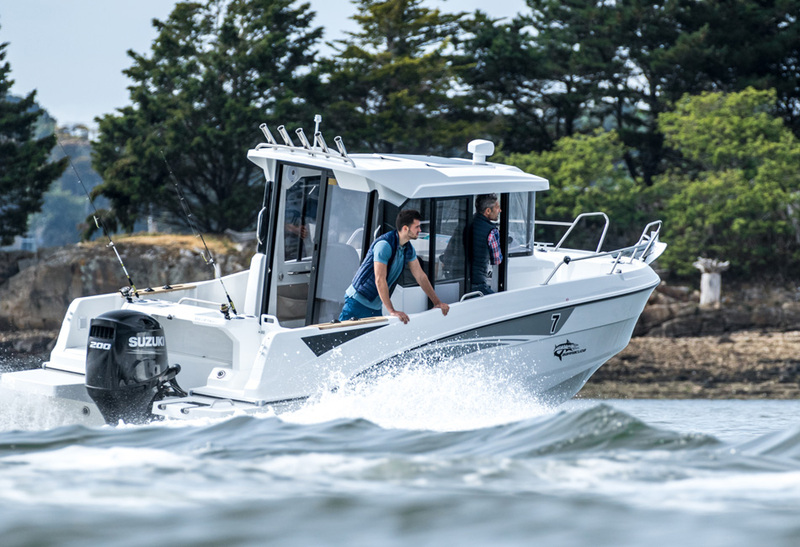 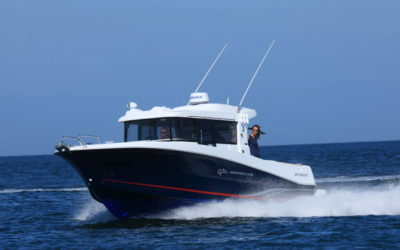 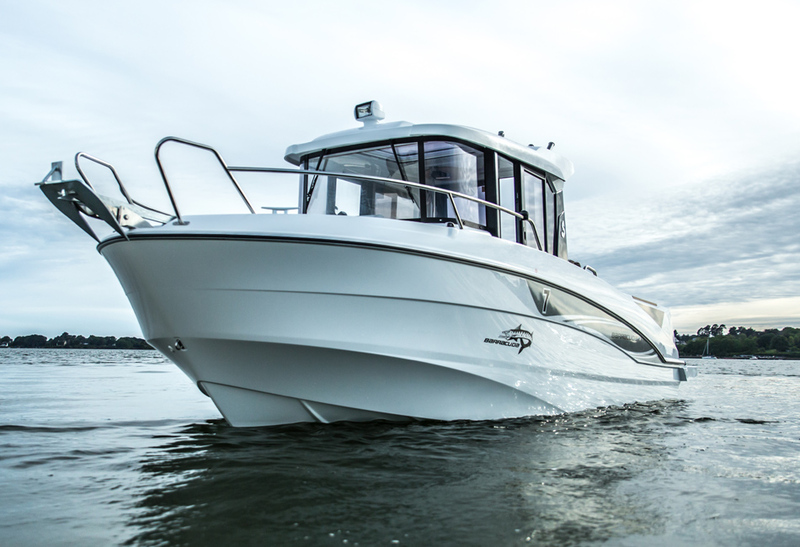 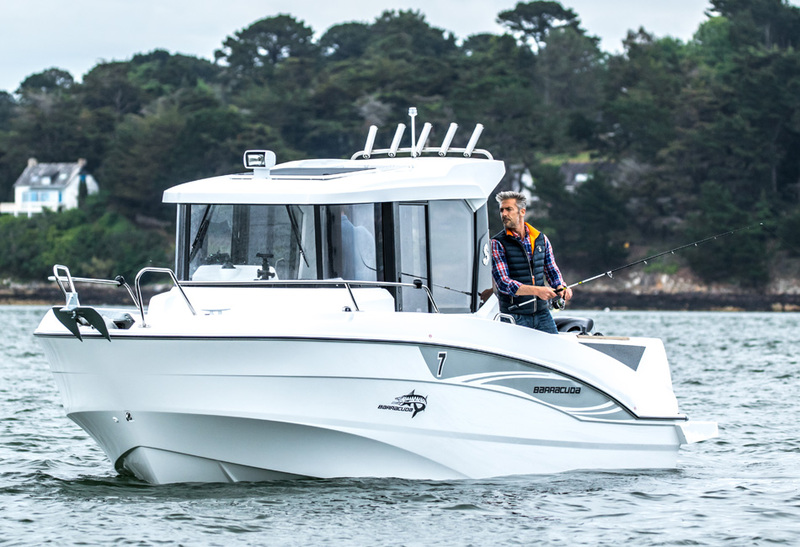 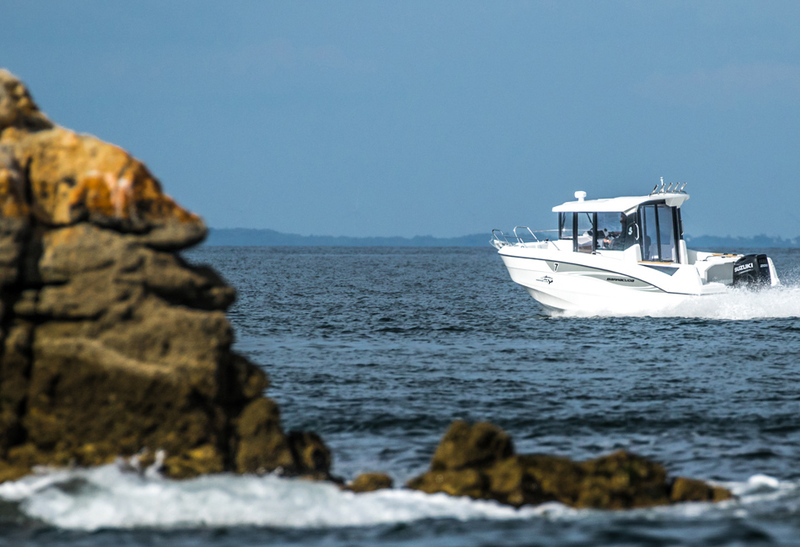 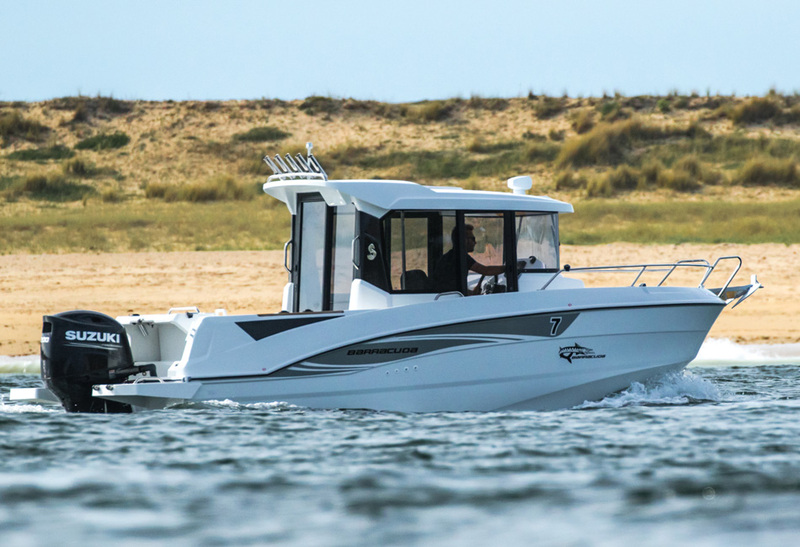 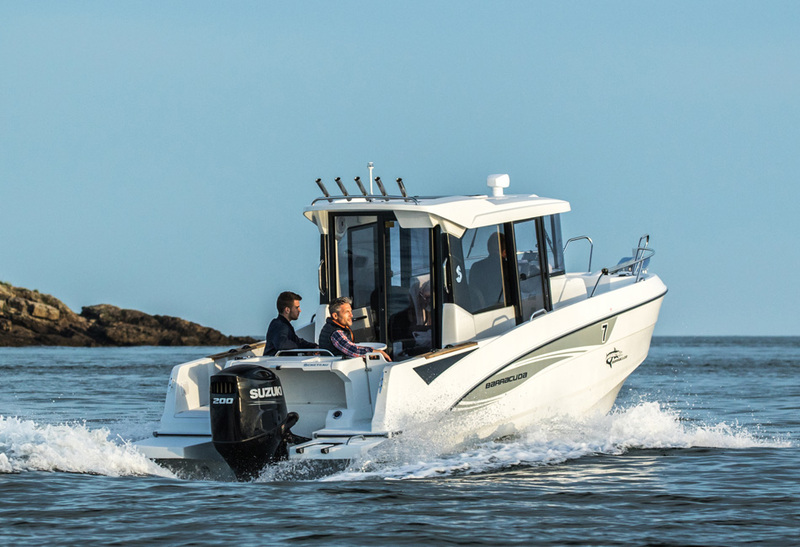 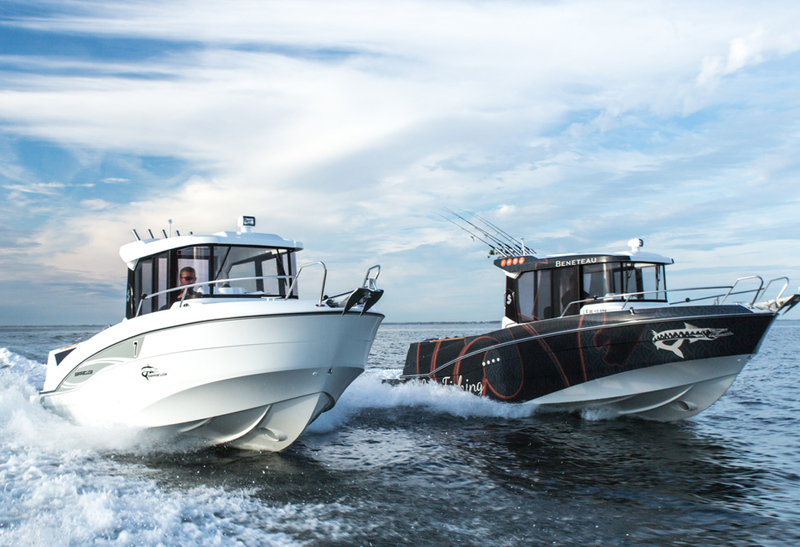 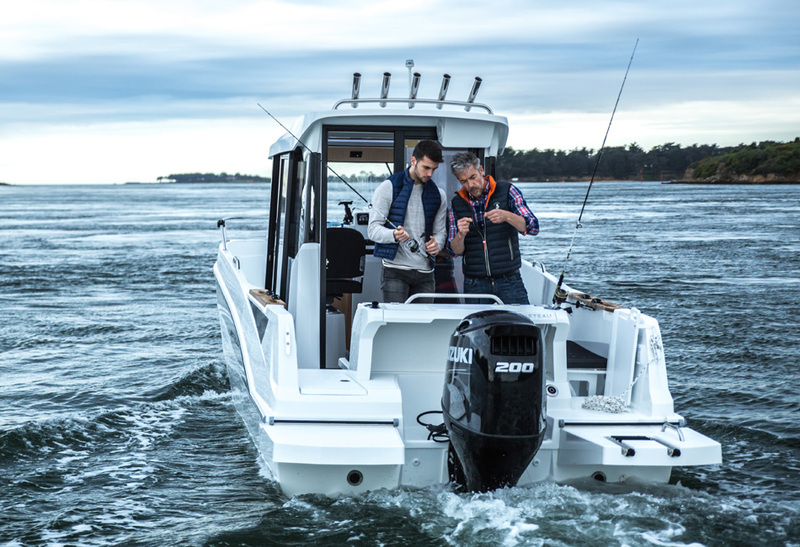 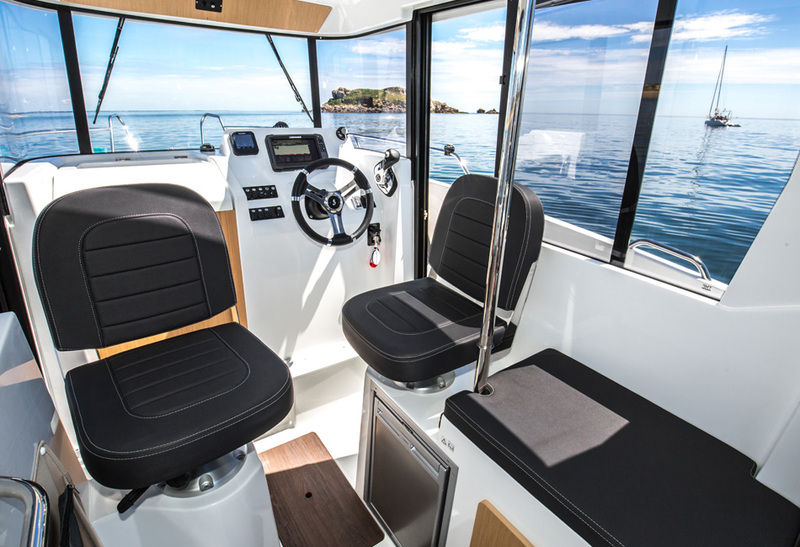 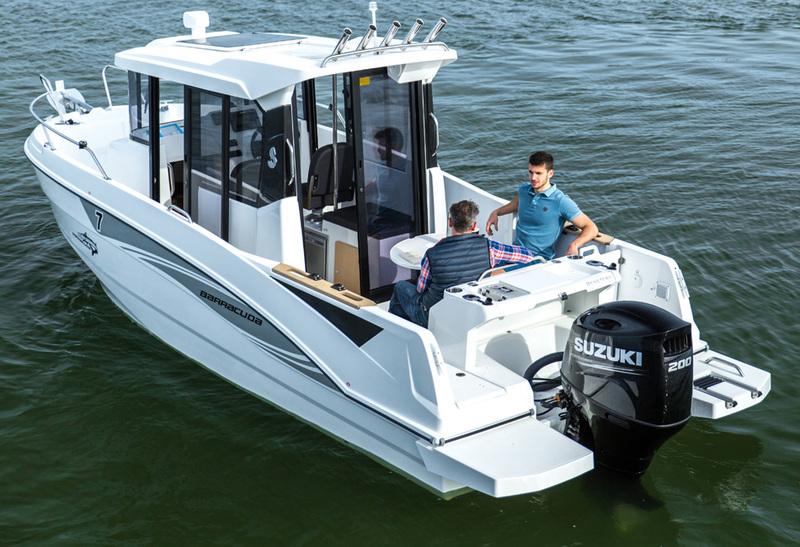 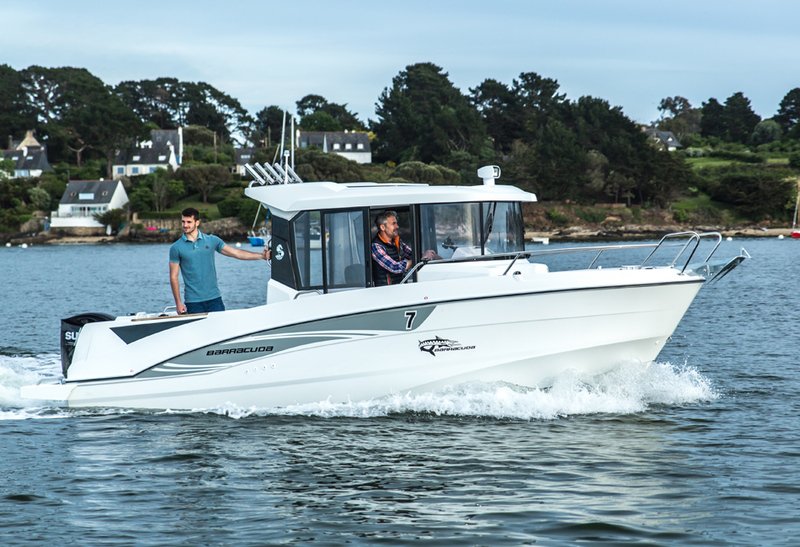 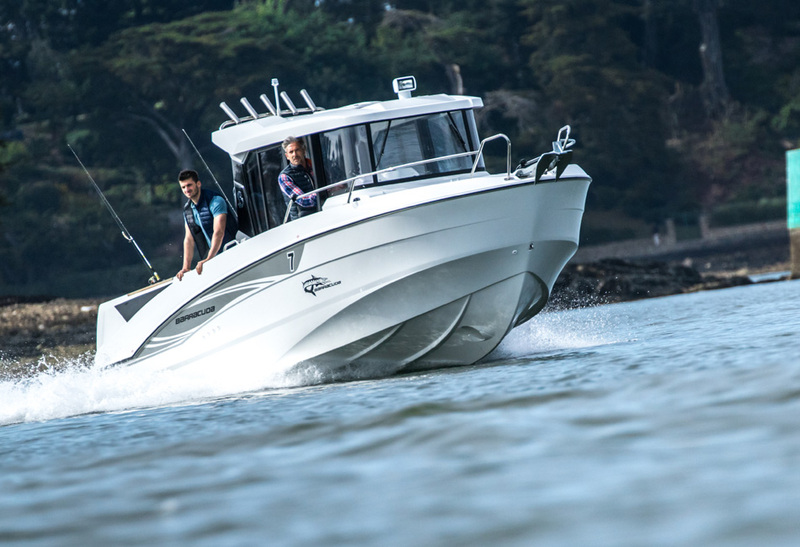 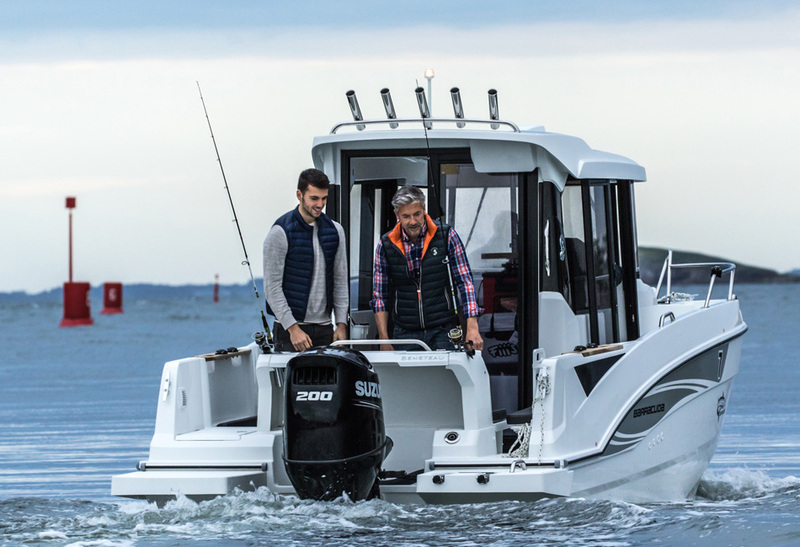 The Barracuda 7 sport fishing pilothouse boat is designed cleverly and available in two versions with varying layouts of around 30 options for customization. 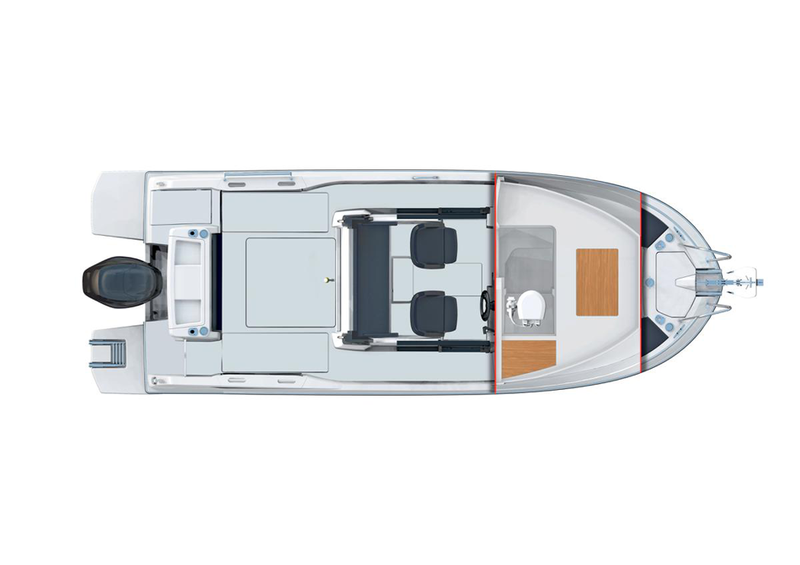 She’s both modular and sporty. 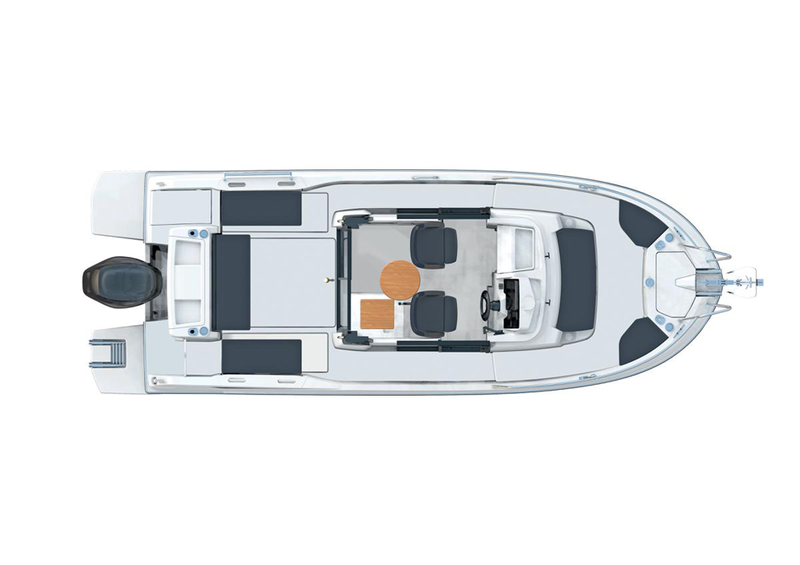 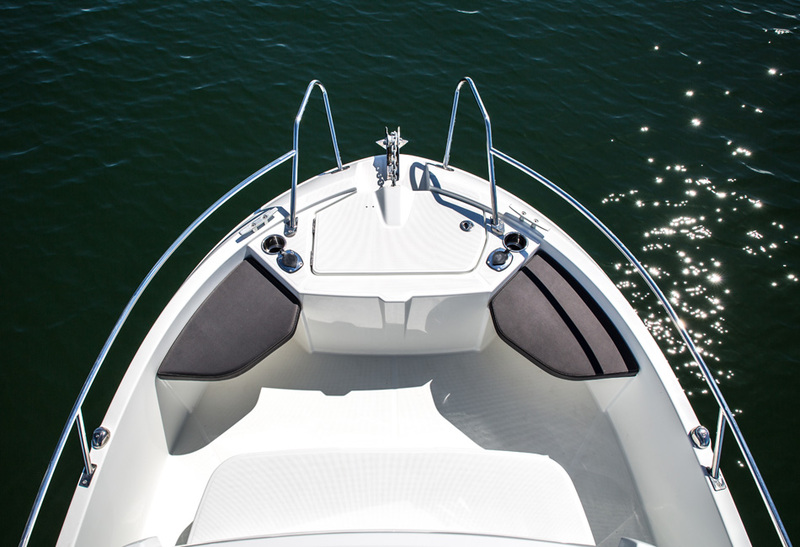 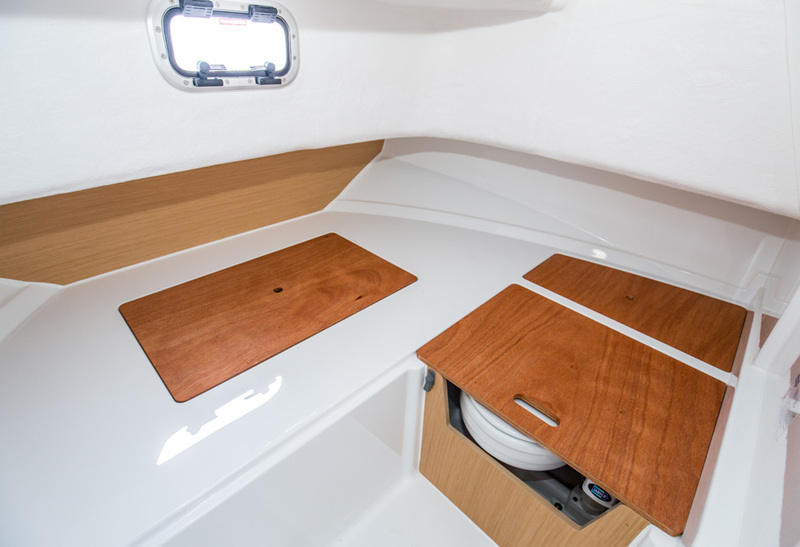 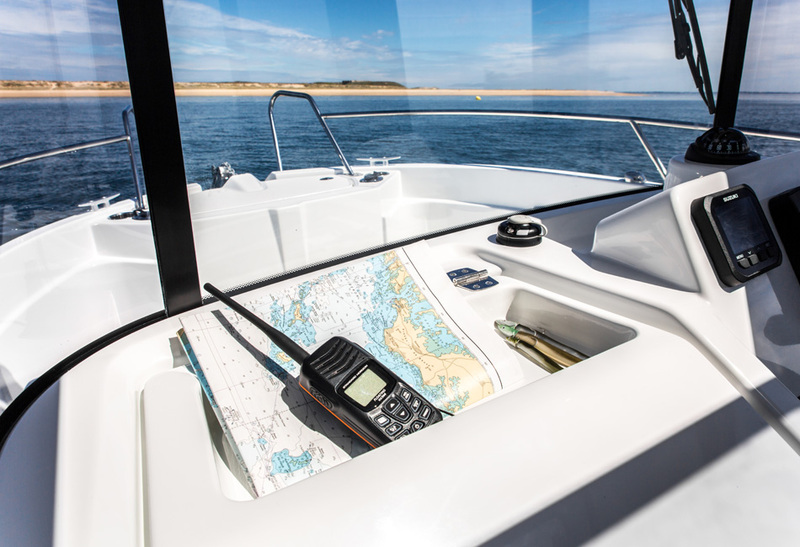 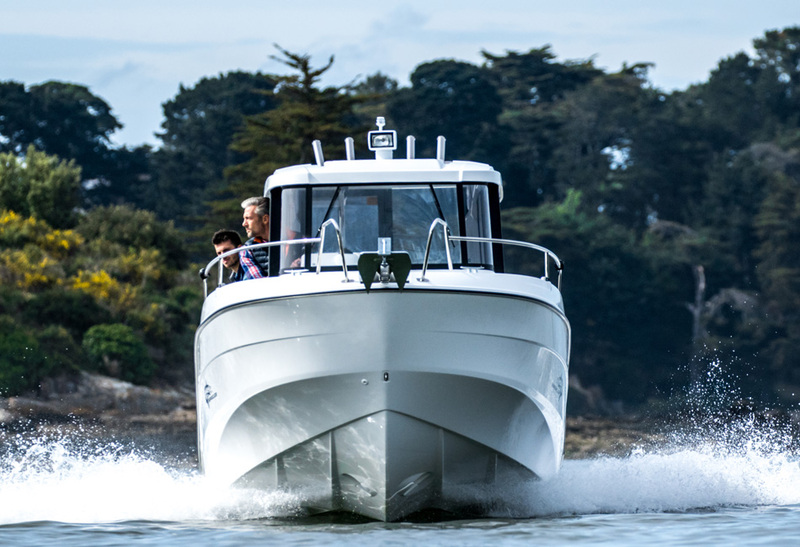 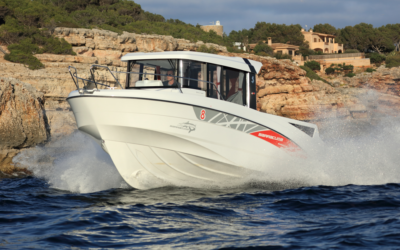 The Barracuda 7 is built on Beneteau’s outboard hulls. 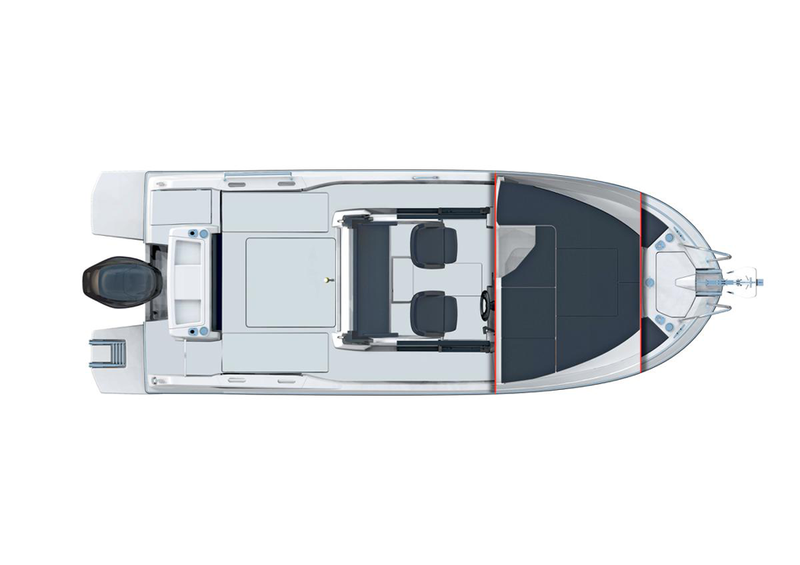 She’s stable and a delight to drive, quick to plane, and outstanding in safety features. 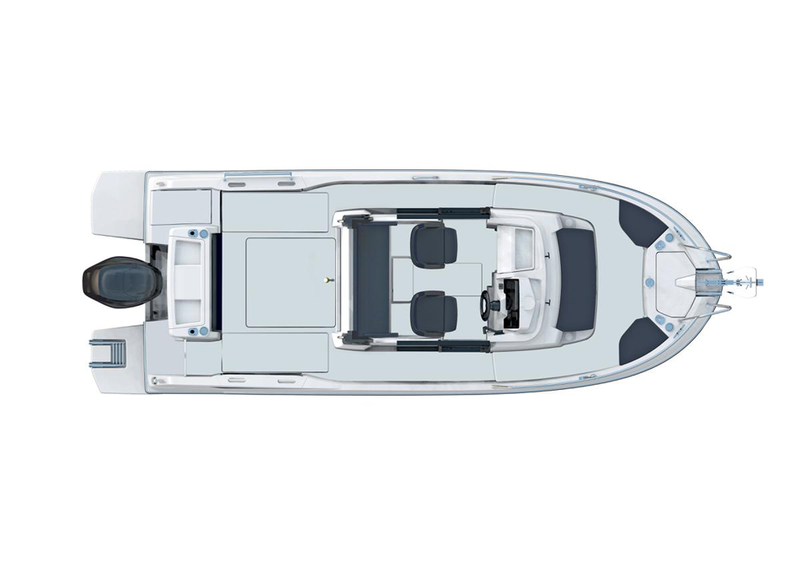 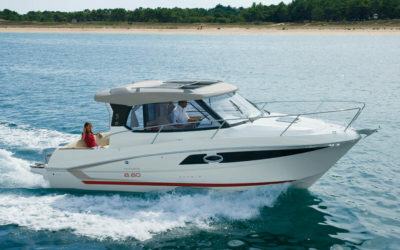 She has a robust straight pilothouse, a signature look of the Barracuda range. 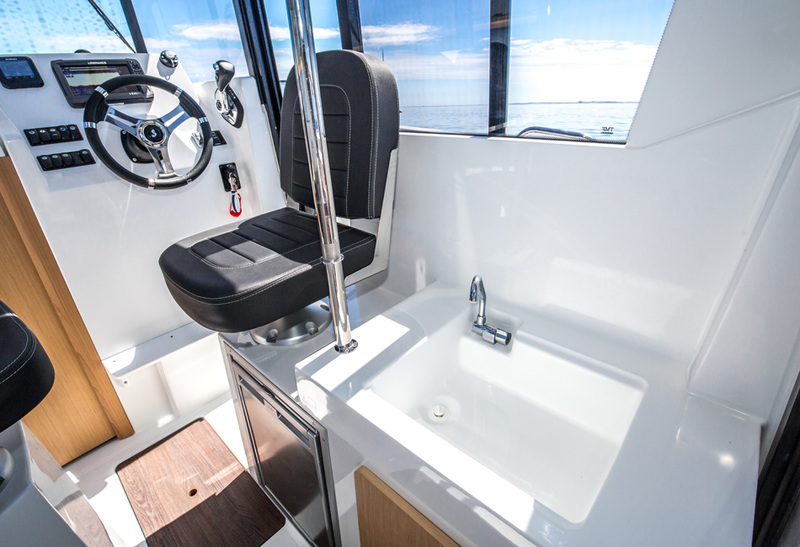 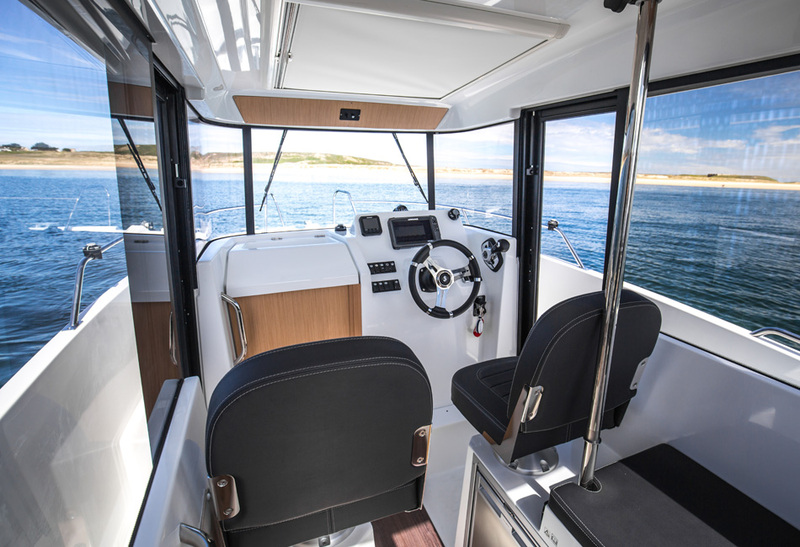 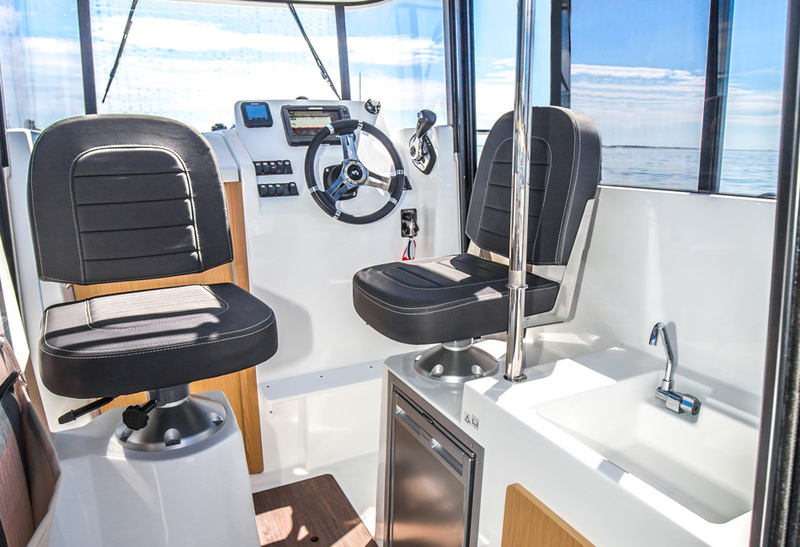 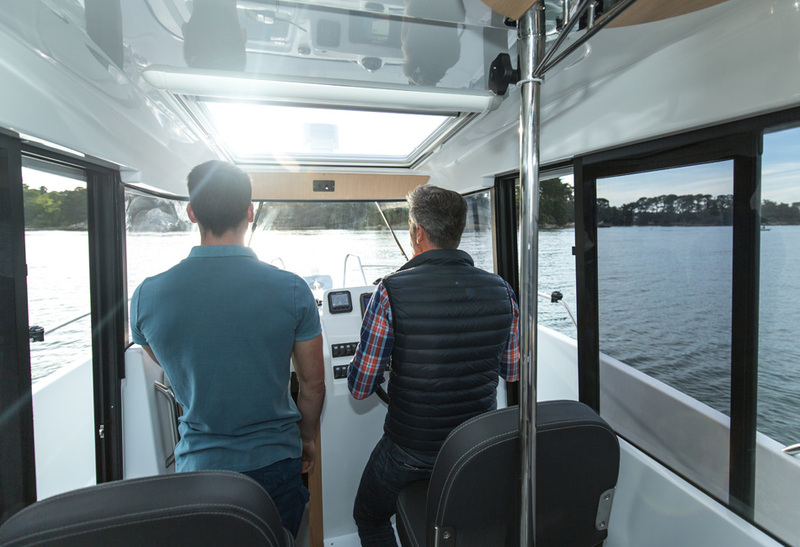 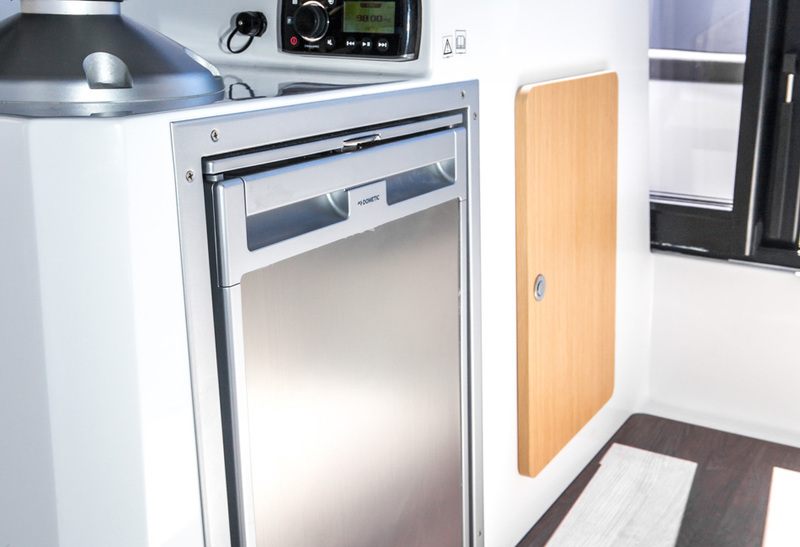 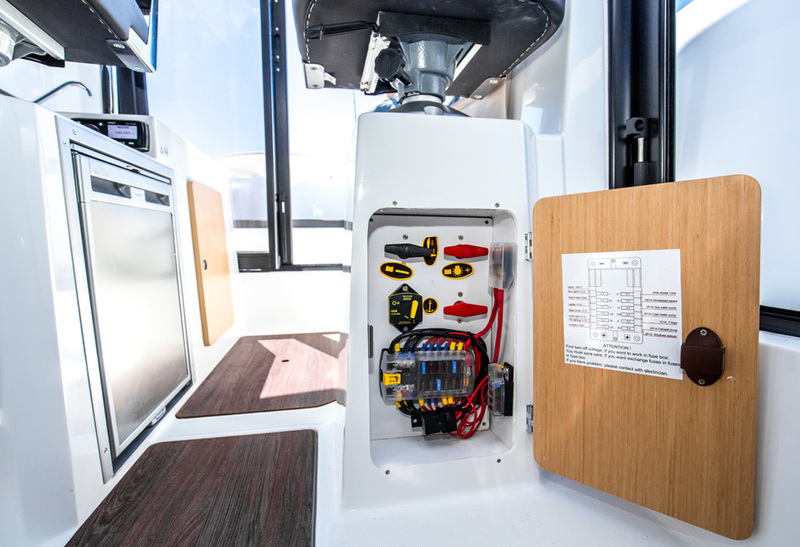 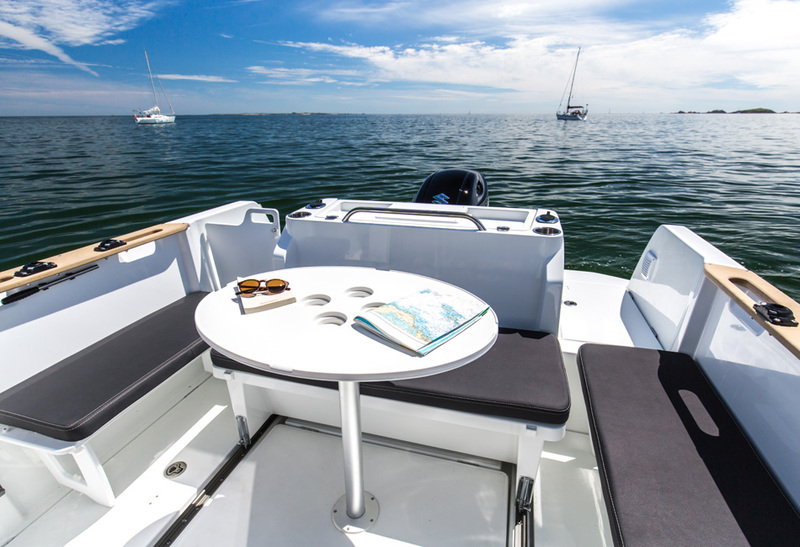 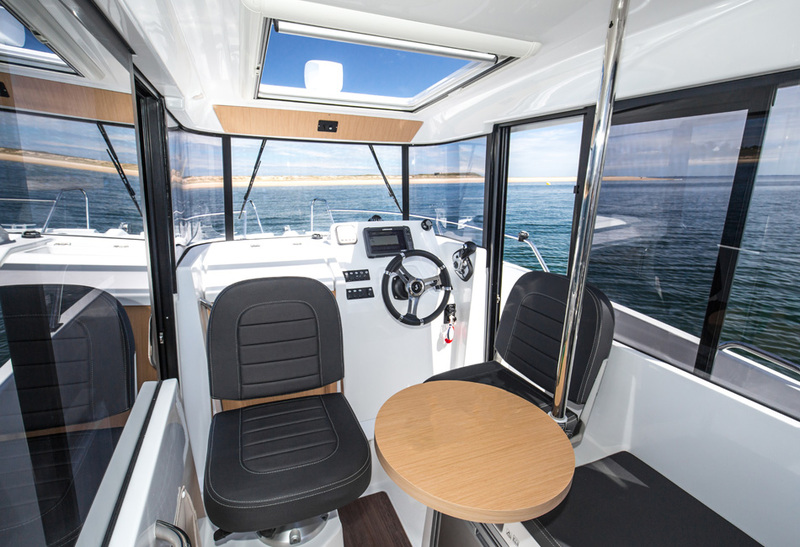 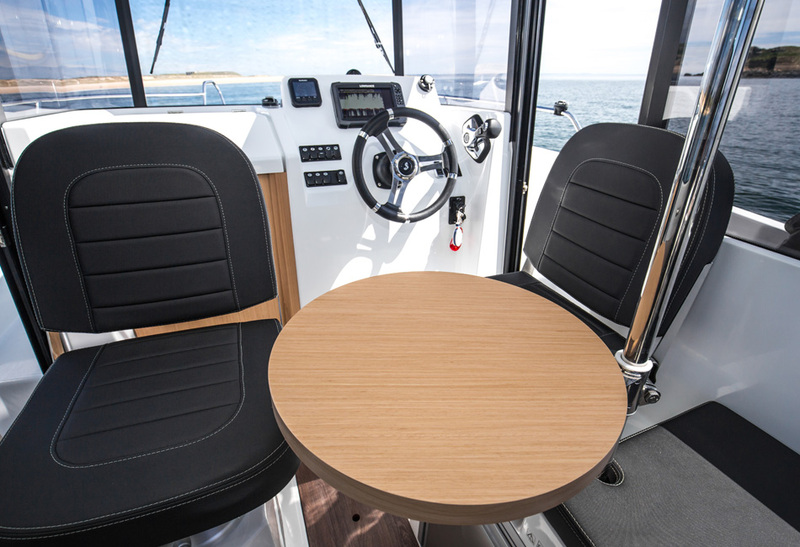 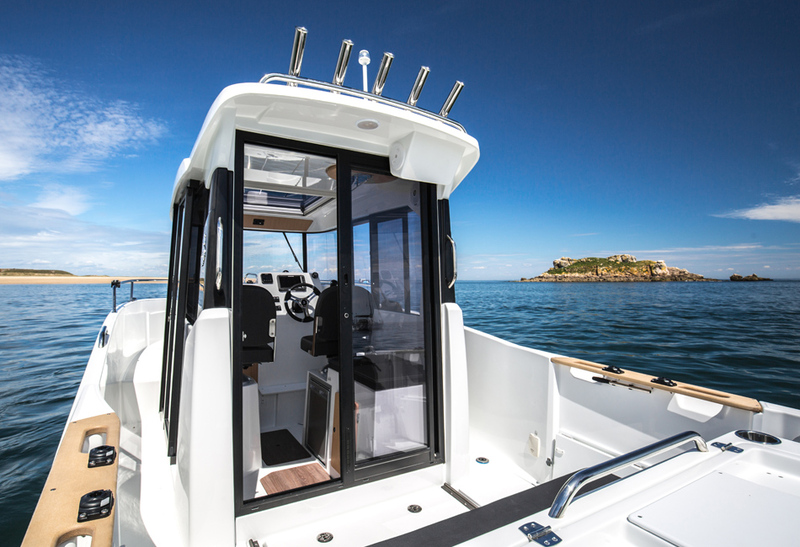 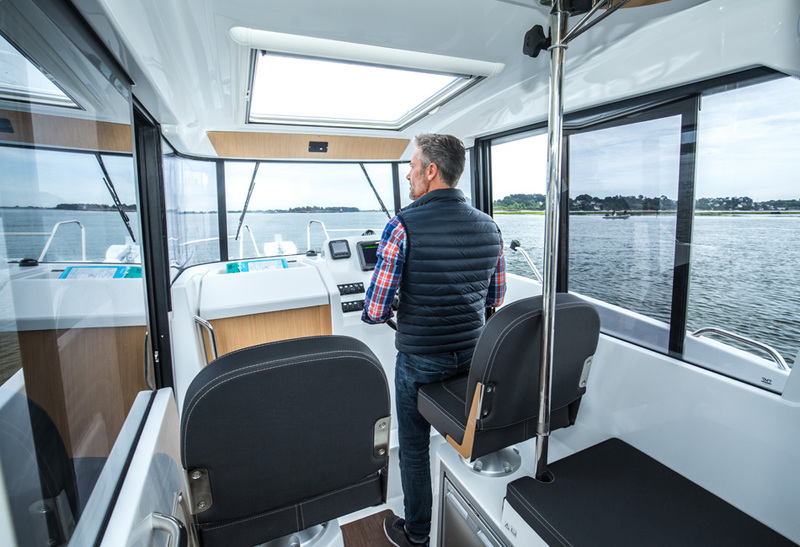 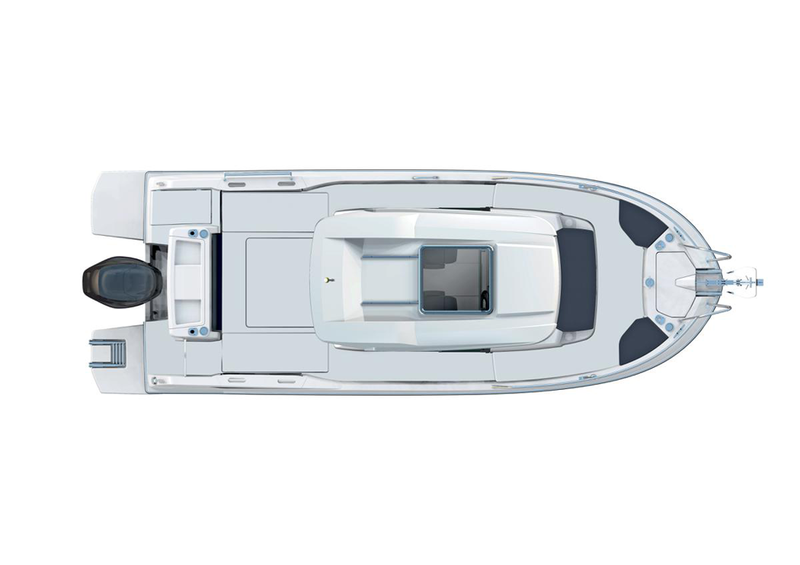 The pilothouse gives you a 360° view with sliding doors to the starboard walkways and port. 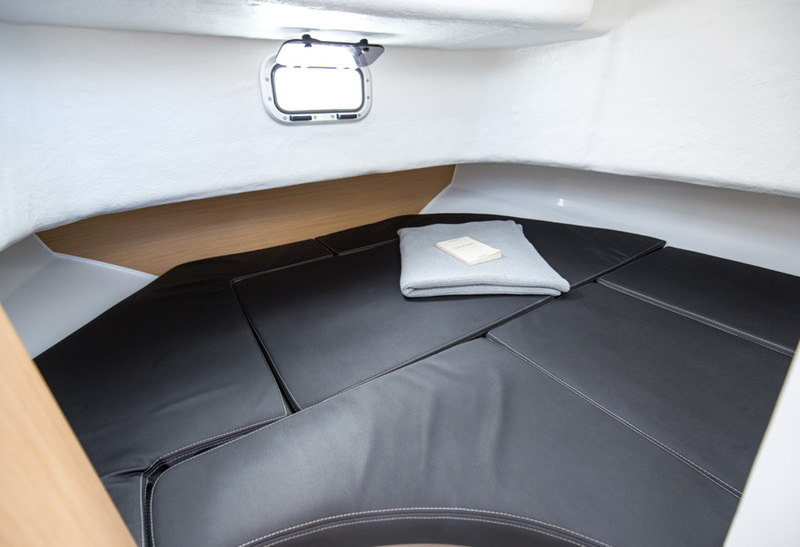 The heads are completely closed off in the stowage space below the pilot’s seat which can be converted into a berth.